I've been wanting a newer car for over a year. Until now you could say I've been lightly shopping but it is only now that I finally have a full time job and a better income, that I can realistically pay for a newer car. Now the real shopping has begun and I have named this post very appropriately. Allow me to illustrate why. 1. I know what I want. I'm not willing to compromise what I want. I'm just fine without one but I wouldn't mind one. 2. I want one that fits into my active/outdoor lifestyle. I want one that will allow me to live this kind of lifestyle more fully. 3. Looking for one takes perseverance and patience. 4. I'm not going to go with the first mediocre one I find. 5. I want one that I can go places with. 6. When you know you've found the one, you know. If you read each of those statements about finding a man and finding a car you will find they are 100 percent the same. That is why I feel these two processes are similar. So with that little bit of humor/truth out of the way I'll get down to where I'm at. This new car would be my fourth car in 11 years as a driver. 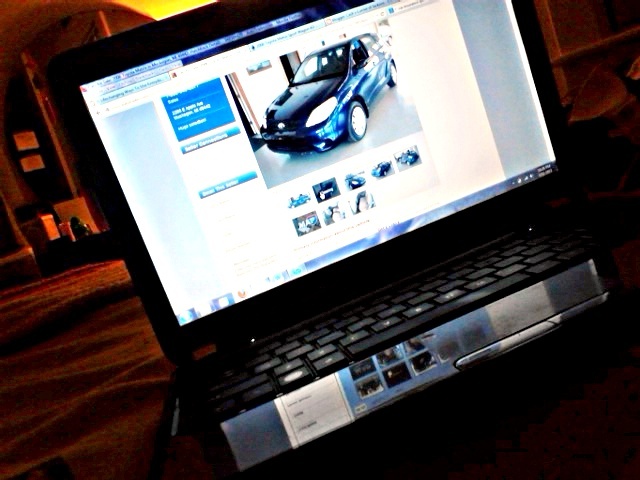 It would be the first car that I buy myself and first one that is not a hand-me-down. I've been unbelievably fortunate up to this point that I have had a reliable car to drive since I was 16 and never had to pay for one. Now I feel like it's my time to get what I want and something that can help get me places. I've been looking at cars online and trying to find out what is out there and how much I'm in for. I have huge interest in the Toyota Matrix or the Pontiac Vibe because I think the style and size is perfect for me and what I want to do with it. I have found a couple online, out of town, that perhaps I can go see. My next step will be talking to my credit union about getting a loan, just so I know where I'll be at with payments and I'll be ready if the one comes along. I'd be happy to know that, with my hopefully spotless credit, I could get a loan by myself. I'll keep you updated on how this process goes with me, as it's my first time going through all this. It's always fun to read about the first time.